This week, we explore the history of one of Japan’s most popular art forms: kabuki theater. Major themes include prostitution, Tokugawa era morality laws, stagecraft, prostitution, and the superiority of Star Trek: Deep Space Nine over The Next Generation. Leiter, Samuel L. A Kabuki Reader: History and Performance. One of the biggest differences between Noh and Kabuki is the lack of masks in the latter. 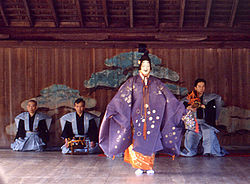 Noh plays like this one keep the actor’s face obscured and move at a far slower pace; emotion is conveyed by delicate movements rather than over the top performance. 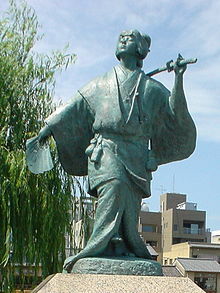 A statue of Izumo no Okuni next to the Kamo River in Kyoto. Okuni’s first performances took place in a dry part of the Kamo riverbed. 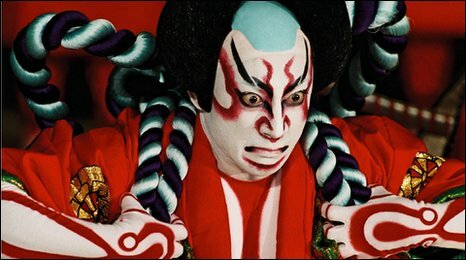 The makeup in kabuki is exaggerated both for the effect of its imagery and in some cases to obscure the gender of the actor. 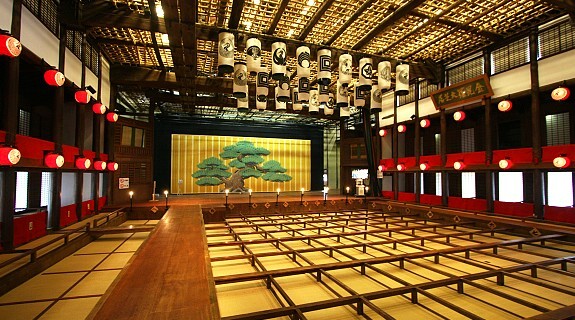 A traditional kabuki theater with the hanamichi running towards the stage. 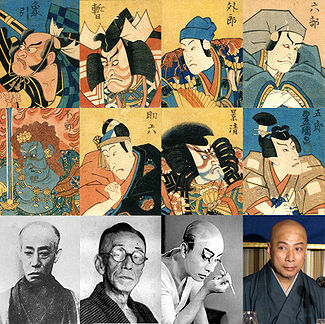 The various actors of the Ichikawa Danjuro lineage. 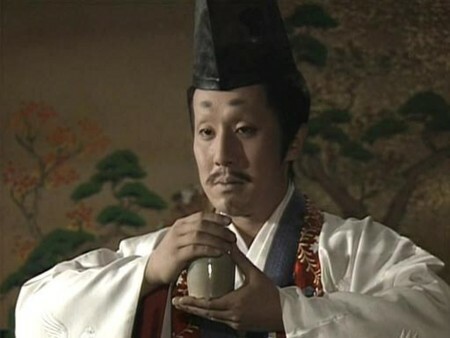 Nakamura Kenzaburo as Imagawa Yoshimoto. 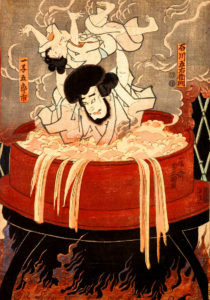 Kabuki actors have been fairly successful in transitioning to roles on TV dramas; in general, kabuki has been more successful than noh in keeping up a modern following. And other forms of flagrant immorality! I had a lot of fun writing this episode, and I hope you enjoy listening to it! Direct link to the show is available here. Hanley, Everyday Things in Premodern Japan. 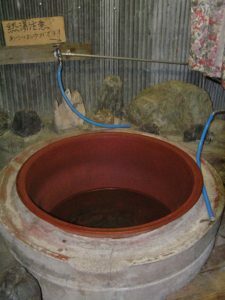 Iwasaki, Mineko. Geisha: A Life. New York: Washington Square Press, 2003. Takeda, Izumo; Miyoshi, Shoraku, and Senryu, Namiki. 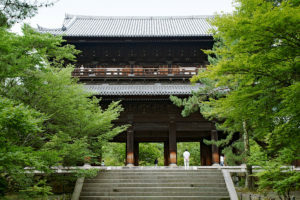 Chushingura. Trans. Donald Keene. New York: Columbia University Press, 1971. 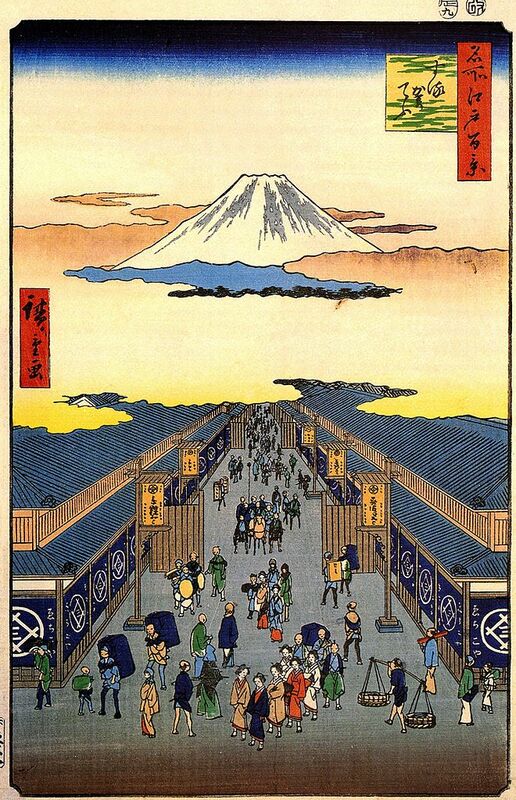 This is an Edo-period depiction of Sugura street. 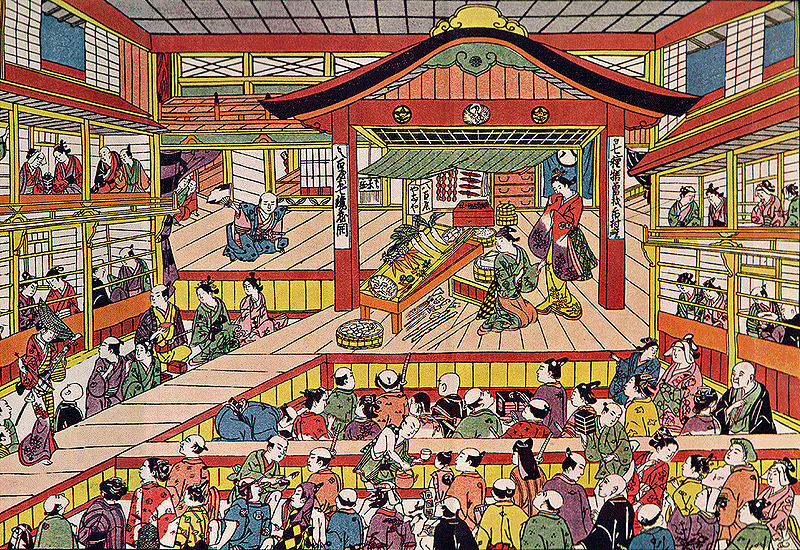 It should give you some idea of what the merchant-dominated markets of the Edo period looked like. This is the same Sugura street today, showing the global headquarters of the Mitsui Group (which was founded in the 1640s). An Edo kabuki performance in the Kabukiza theater. 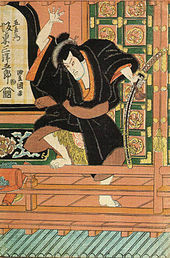 Note the actor moving up the hanamichi on the left side. This should give you an idea of how close kabuki actors got to their audiences. 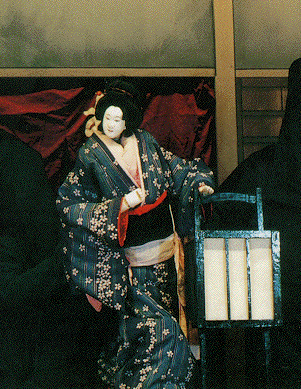 This is an example of a puppet used in a bunraku show. 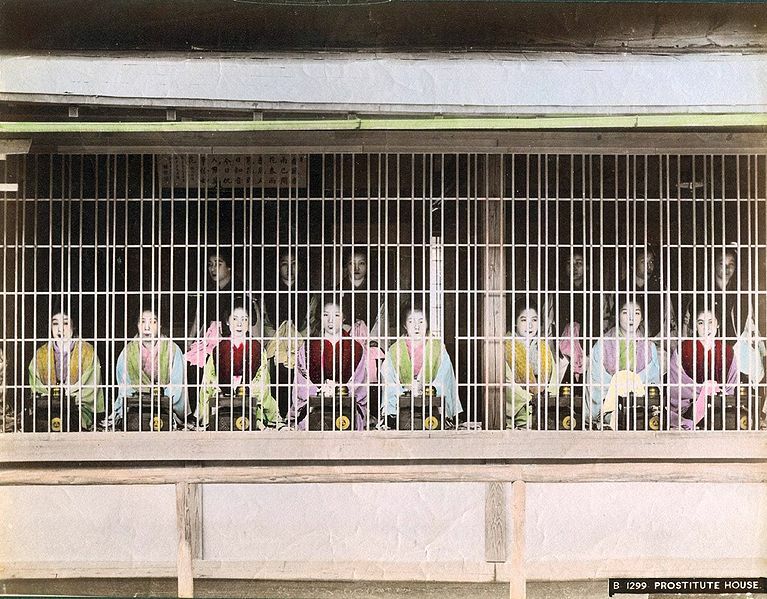 This is a colorized photo of prostitutes on display to patrons in Edo period Japan. the use of the bamboo cage behind which to display them was eventually banned (though the practice of prostitution would remain legal until after World War II). 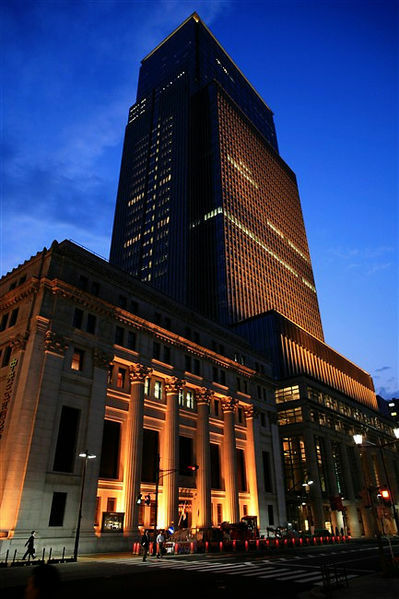 The above video was put together by UNESCO, and contains a description of the history of kabuki as well as recordings of modern performances. Also from UNESCO, this video should give you an idea of how Bunraku shows are performed. Pay special attention to the way the puppets are manipulated; it’s all very impressive!